Posted on 3, December 2018 by EuropaWire PR Editors | This entry was posted in Industrial, Metals and Minerals, United Kingdom and tagged aluminium, Amrun, Australia, Bauxite, milestone, mine, The first shipment of bauxite from Rio Tinto's Amrun project in Queensland, Tony Kerindun, Troy McNamara. Bookmark the permalink. Rio Tinto’s Amrun project in Queensland, Australia, has achieved a significant milestone, successfully making the first shipment of bauxite, six weeks ahead of schedule. LONDON, 03-Dec-2018 — /EuropaWire/ — The US$1.9 billion (A$2.6 billion) investment in Amrun will replace production from the depleting East Weipa mine and increase annual bauxite exports by around 10 million tonnes. Amrun is expected to reach a full production rate of 22.8 million tonnes a year during 2019. Rio Tinto Aluminium chief executive Alf Barrios said “Bringing Amrun online further strengthens our position as a leading supplier in the seaborne market. We have the largest bauxite resources in the industry and are geographically well positioned to supply China’s significant future import needs, as well as supporting our refinery and smelting operations in Australia and New Zealand. 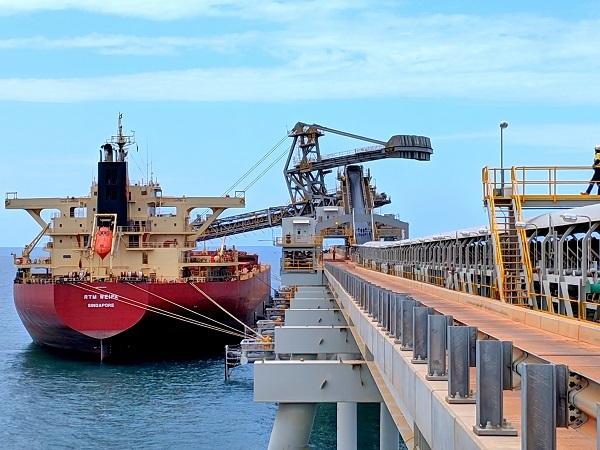 At a ceremony on the Western Cape York Peninsula in far north Queensland, more than 80,000 tonnes of bauxite was loaded on to the RTM Weipa bound for Rio Tinto’s Yarwun alumina refinery in Gladstone. Rio Tinto Growth & Innovation group executive Stephen McIntosh said “We are proud to have delivered the project safely, ahead of time and within budget thanks to innovation in the design and fabrication of key infrastructure purpose-built for construction at Amrun’s remote location.